There are a couple of keys to living like Philemon that I would like to bring to your attention in hopes that we can emulate them. 1. Philemon’s love and faith were first of all in God. The priority in his life was his vertical relationship with God, and because of that, his relationships with his fellows believers were right, too. 2. Philemon made a point of sharing his faith. We should not jump to the conclusion that this just means telling others about Jesus, although that is a part of it. His faith, according to the context here, was also shared with his fellow believers. He was living out Hebrews 10:25 and not just showing up for each assembly, but never missing the opportunity to provoke others to love and good works. The word for “sharing” in the original Greek is koinonia, and is translated in other verses as “fellowship” or “communion” and speaks of a mutual interchange of encouragement. 3. 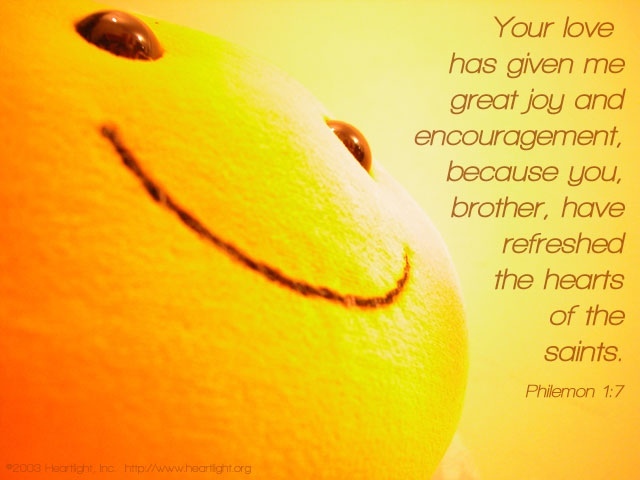 Because of the first two things, Philemon was a joy and a comfort to others. He was truly a refreshing man to be around. That sort of lifestyle is contagious and benefitted the rest of the church. So why are we told about this particular brother? Because I believe we need to be reminded that, while attendance at assemblies of the congregation are important, it is not enough to just show up. It is also not our aim to show up in order to see what we can get out of them. 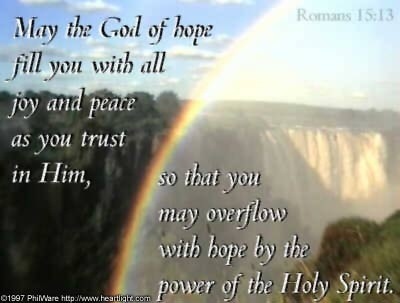 Rather we are to be motivated by love for God and our brothers and sisters in Christ to come and refresh one another. We are to live out our faith in fellowship with one another, in true koinonia fashion, and so build each other up in Christ.